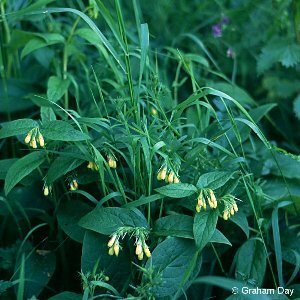 A yellow flowered comfrey, lower-growing than the other comfrey species. Of foreign origin, now established in 'wild' situations in a few places. 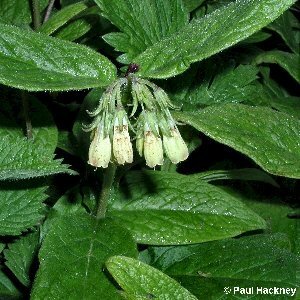 All names: Symphytum tuberosum L.